And Here's Your 2010 North American Car, Truck Of The Year Finalists! Last year's NACTOY awards made news selecting the Hyundai Genesis. Will they be as bold this year? The short list of car and truck finalists below. Tell us who you think the winner should be. The list is fairly conventional until you get down to the free-wheeling truck category. 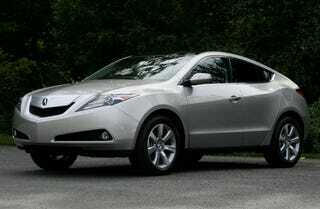 The Acura ZDX. Really? At least it's been driven by the motoring press. The Suzuki Kizashi is also peculiar, since none of the jurors have likely driven one. Anything missing? Anything you think is a shoe-in? Debate!